I mentioned in my last post that I had an incoming order from BrambleBerry. With shipping my order was almost $40, which seems asinine to me to be honest, but I still think it’s worth it. Thus far I’ve whipped out 2 pint jars of beeswax lotion, a half pint jar of deodorant, and 7 tubes of lip balm (the deodorant and lip balm will be different posts). Despite all that I still have a decent amount of stuff left so I can make myself a perfume solid, or homemade vapor rub if the need arises (Sophia has been sick and congested quite a bit since Nola started at the charter school). 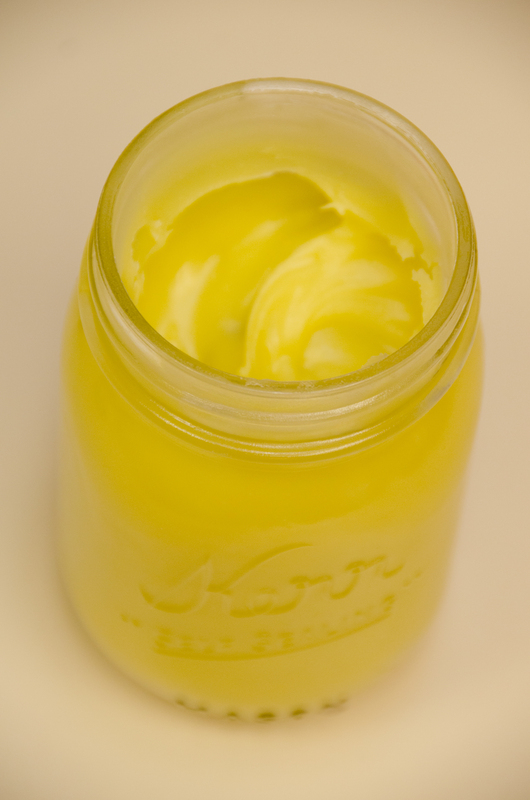 The Beeswax Lotion is insanely easy to make. I managed to do it despite a long day and glasses induced headache! The recipe was found at A Sonoma Garden. Put everything in a pint jar except the vitamin E and essential oils. Then place the jar in a water bath being careful not to get water into the jar. Let it get all melty over medium heat, stir occasionally, and then take it out of the water. As it’s cooling off mix it up with a fork every 10-15 minutes so it turns out creamy. Once it’s at room temperature add in the vitamin E and essential oil and you’re done.